The Market for commercial property investments has remained extremely resilient since the EU Referendum bought about the start of the Brexit process in June 2016. For the first time, prime industrial yields outstrip those achieved in the office sector and, other than for prime assets, the retail sector as well. London remains the nucleus for the investment market, however, regional centres such as Leeds and Nottingham are also increasingly attractive to potential investors. The Q3’16 sale of a 27 unit multi let industrial estate in Norwich at a yield of 6.45% further illustrates the strength of demand in non-core locations. Brown & Co have recently sold a modern mixed warehouse and office investment in Gateshead for £3,000,000 reflecting a net initial yield after costs of 7.83% the unit was let to a high net worth food company for a further 3 years from the date of sale. Brown&Co purchased this asset for the vendor as part of a portfolio for around £2,000,000 in late 2011, and this illustrates the degree to which yields have hardened and reflects a very healthy 50% uplift in capital value. Brown&Co have recently purchased further assets on behalf of retained clients to include a parade of 3 retail units in the centre of Norwich with tenants including L’Occitane for £1,650,000 representing a yield of 8% once purchase costs have been added. We have also bought a prime town centre investment in Grimsby let to Lloyds Bank and Boots’ Optician on Victoria Street for £950,000 yielding 7.3% after the addition of acquisition costs. A further purchase has also been made involving a modern Jaguar/Land Rover dealership in Chester which we managed to acquire in an off-market deal for £850,000 which offered the buyer a yield of 9% reflecting the fact that the tenant had under 2 years left to run on their lease. 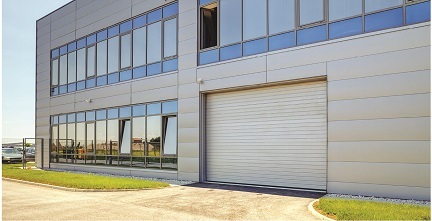 Whilst industrial property remains a favourite amongst many potential buyers, we see value in acquiring retail and office investments in 2017 and beyond, as these now offer exceptional value and comparatively strong yields and are often let to good quality tenants with decent unexpired terms on the leases at the point of sale. Please call any member of our Investment Team who are active throughout the UK for further assistance and advice should you be considering the purchase of a commercial property investment. We also offer, if required, a full management service to include rent collection and the administration of service charge funds together with supervision of repairs and arrangement of buildings insurance.